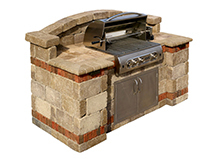 Our natural stone grill islands are inspired by Mother Nature. 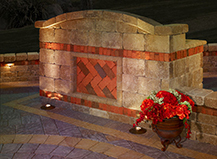 They are fabricated using elements of the natural world and provide organic beauty. 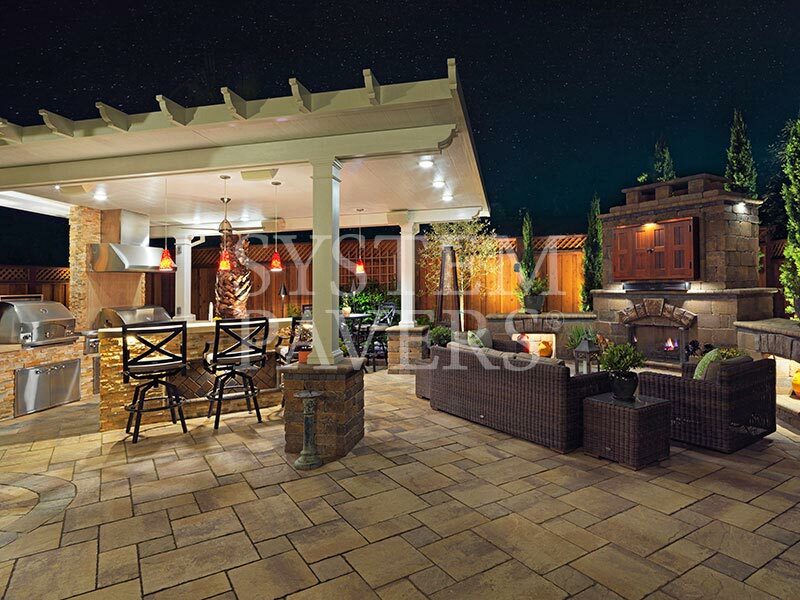 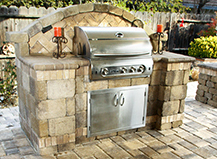 We’ll create a custom design that complements your outdoor space and meets your outdoor grilling needs. 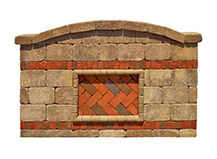 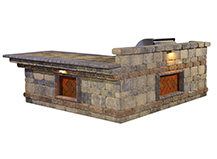 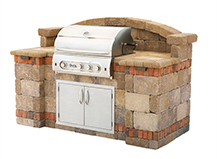 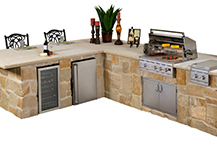 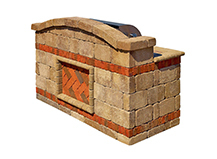 Capri grill islands are built from specially crafted stone that offers a polished finish. 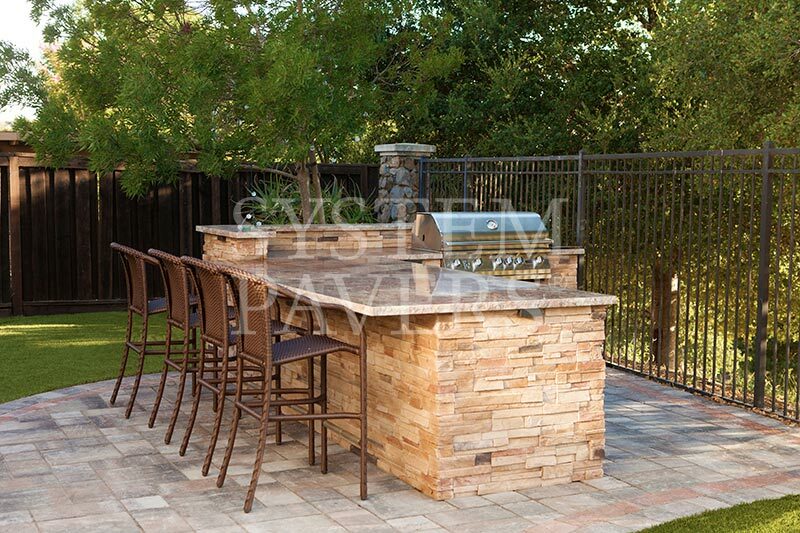 Our Capri stone is a favorite option for many outdoor living projects thanks to its flawless beauty. 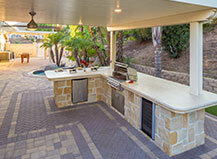 Preparing a meal at a BBQ island makes cleanup a breeze for the host. 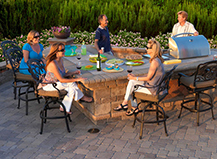 Treat your party guests to a delicious al fresco dining experience without having to spend half the night scrubbing pots and pans once everyone leaves. 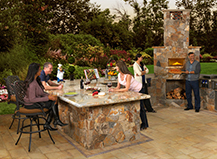 Smokers, pizza ovens, woks, and other unique appliances can be difficult to use inside because of the smoke and smell they can create while food is cooking. 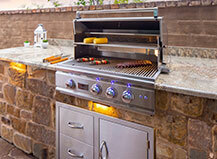 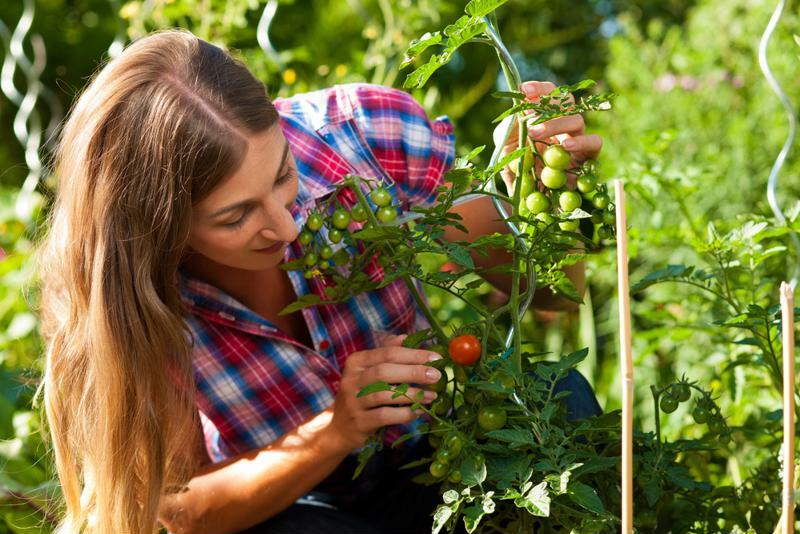 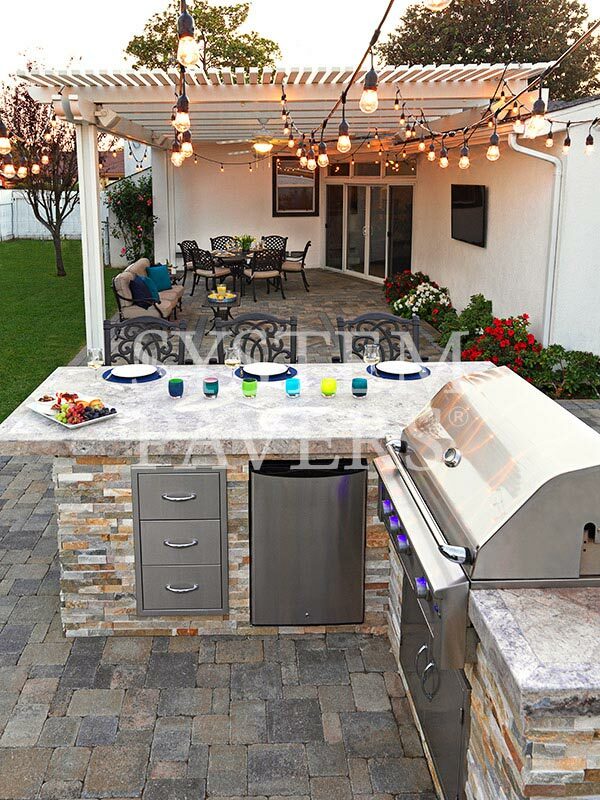 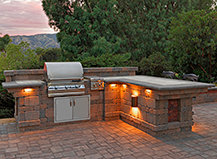 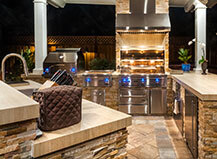 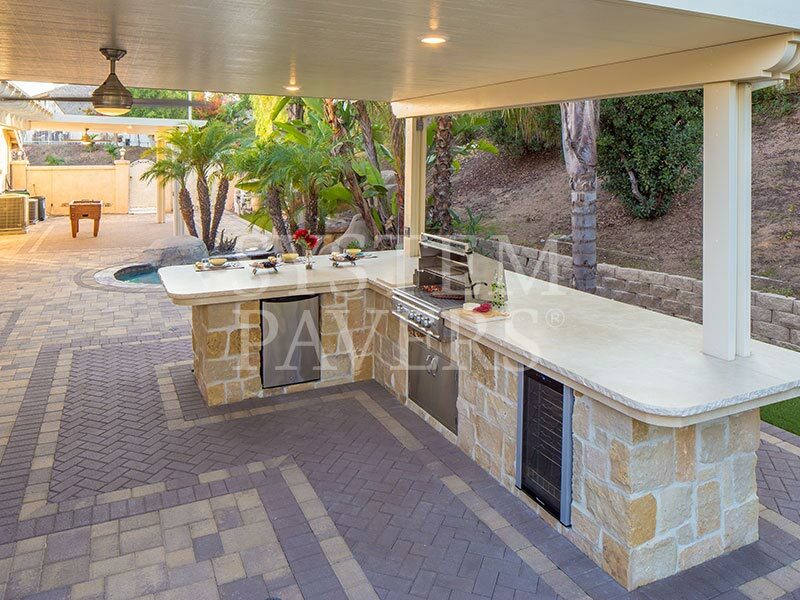 However, your outdoor BBQ island is the perfect place to set up these exciting appliances. 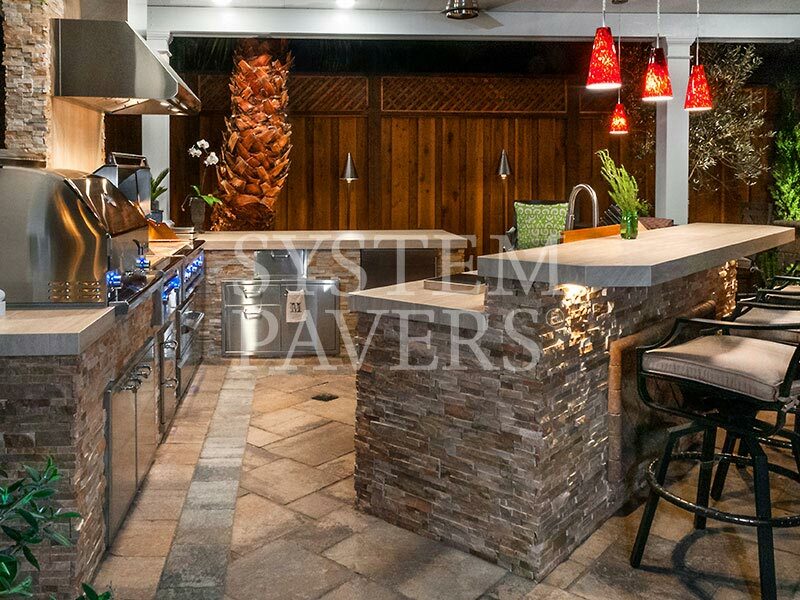 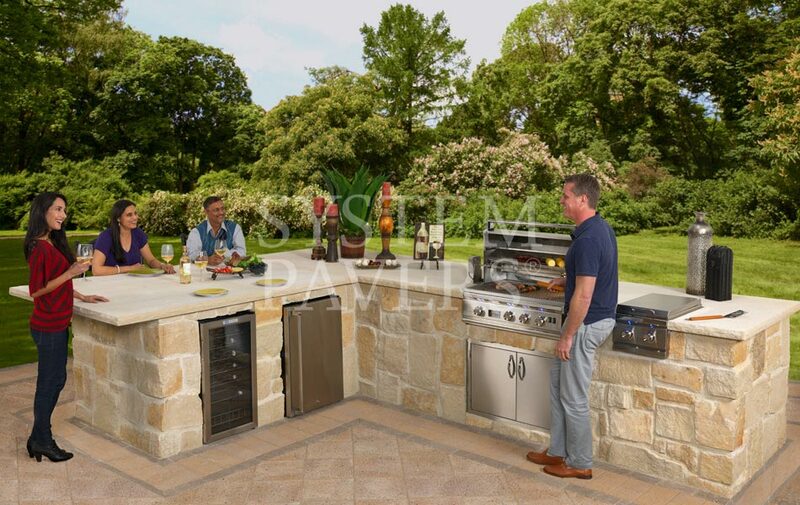 The many feature options we have available allow you to create a truly custom outdoor kitchen in which cooking is convenient and fun. 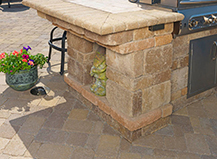 Our grill islands combine style and functionality so that you can enjoy all the fun of outdoor cooking without detracting from the beauty of your home or landscape. We’ll design a custom BBQ island that complements your home’s architectural style and is equipped with the features that matter most to you. 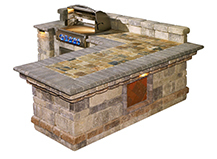 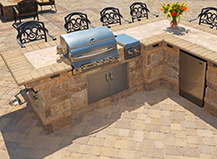 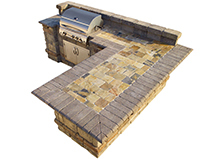 Your outdoor grill island will be a one-of-a-kind piece designed to meet all your needs. 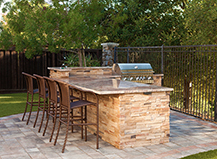 Is easy clean-up a top priority? 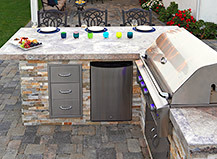 Avoid carrying dishes back and forth by including a built-in sink and dishwasher. 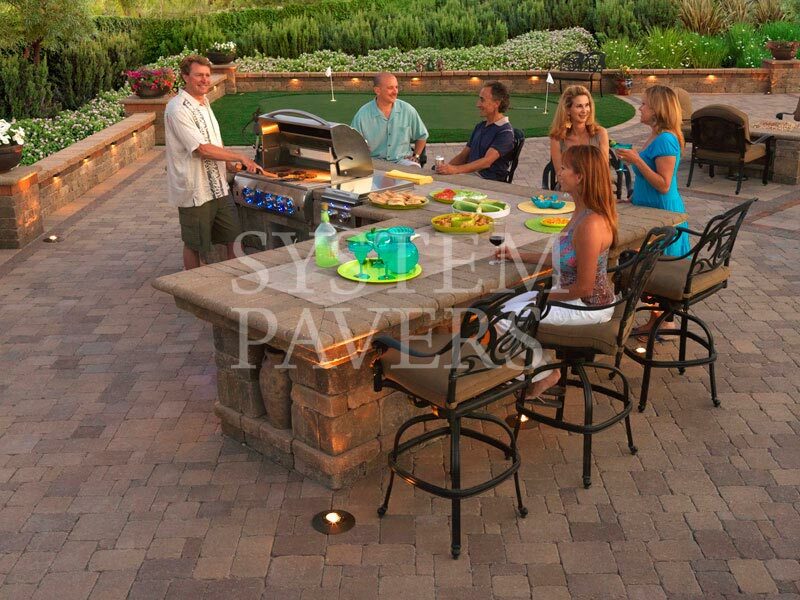 Do you love throwing parties and entertaining friends? 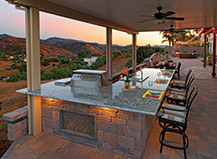 Give your guests access to cool drinks with a kegerator and wine fridge. 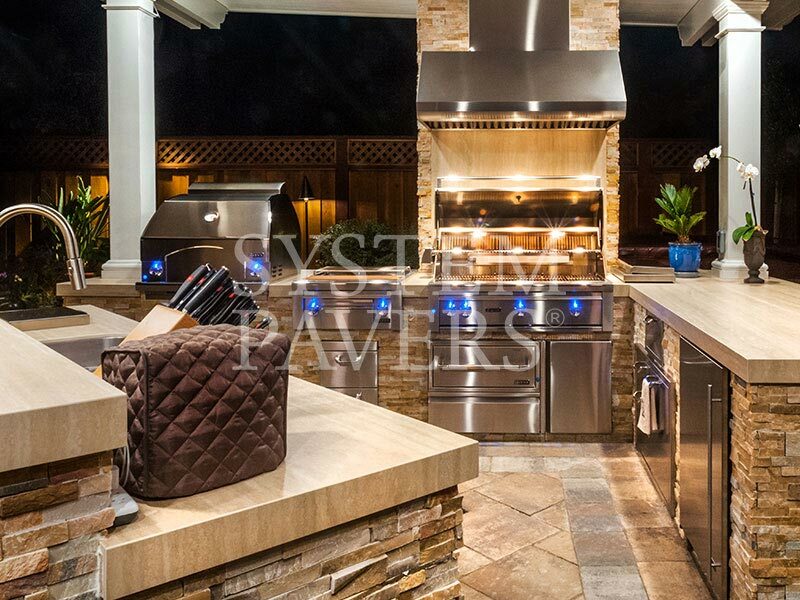 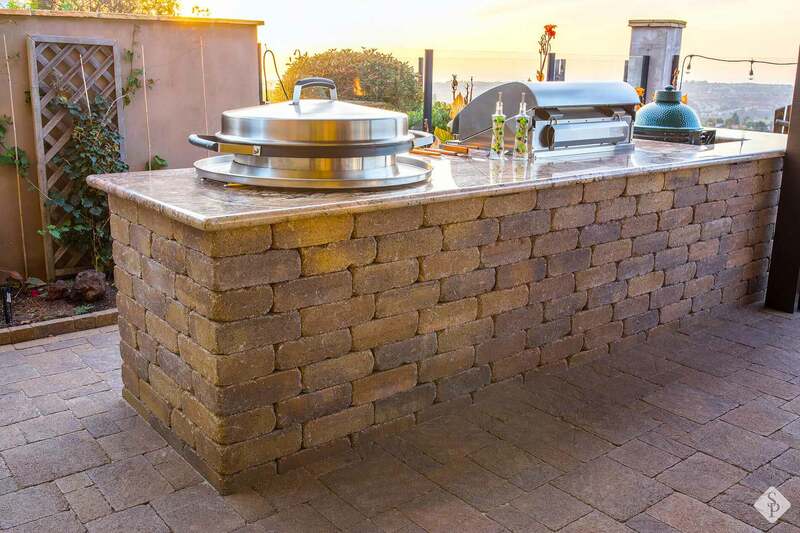 Wherever your interests lie, our designers will work with you to create a completely customized outdoor cooking space that enhances your lifestyle. 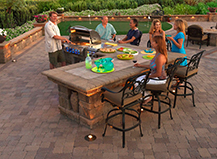 From burgers and hotdogs to slow-grilled steaks and seared seafood, outdoor grilling is ideal for low-key family barbeques, lavish special events, and everything in-between. 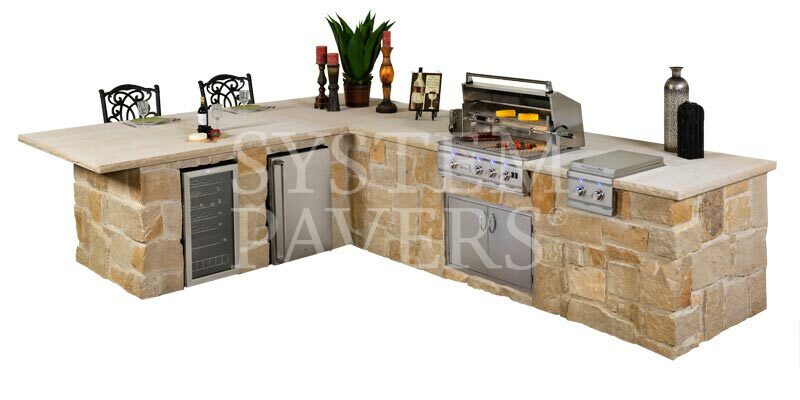 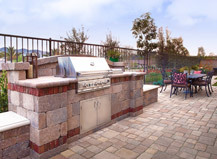 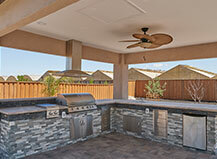 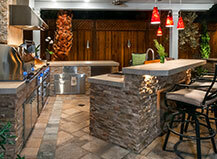 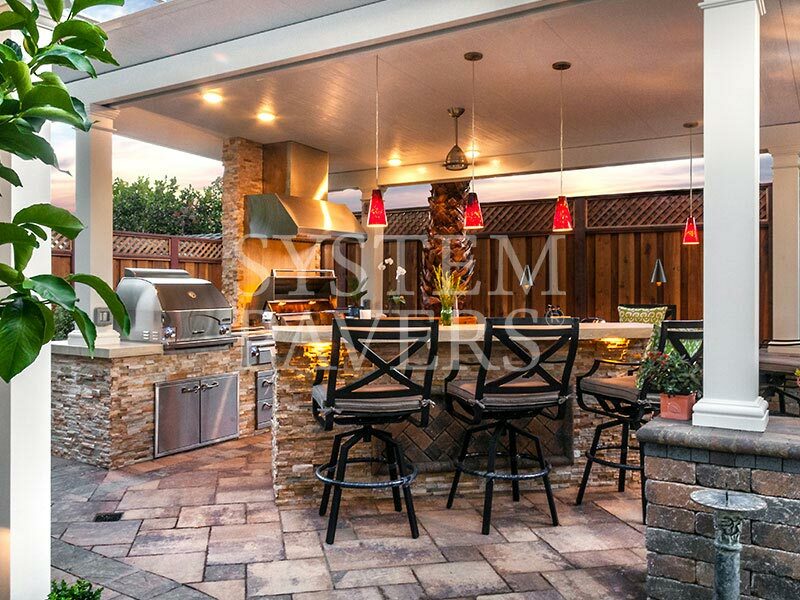 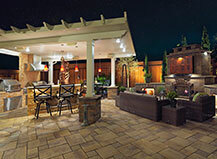 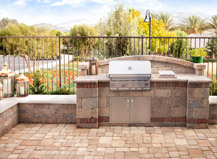 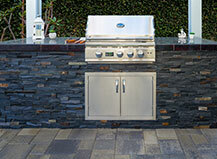 See how we can enhance your grilling experience with a BBQ island. 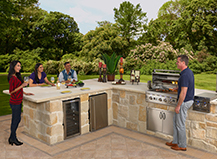 An open-air, uncovered grill island invites nature in for a true outdoor cooking experience. 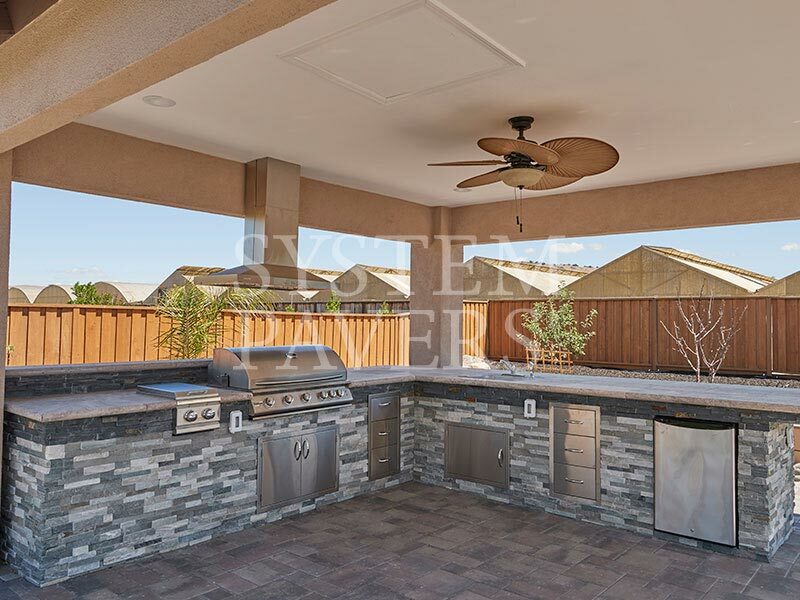 With this option, you’ll have a fully open view of your surrounding landscape, allowing you to watch the kids while you grill, chat with friends, or take in your view while you cook. 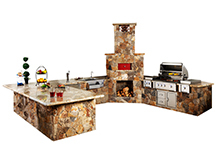 Take a look at our finished designs. 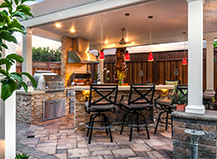 A BBQ island under a covered pergola creates a shaded space for cooking and eating so that activities can continue when the sun’s beating down or a sudden rain shower starts up. 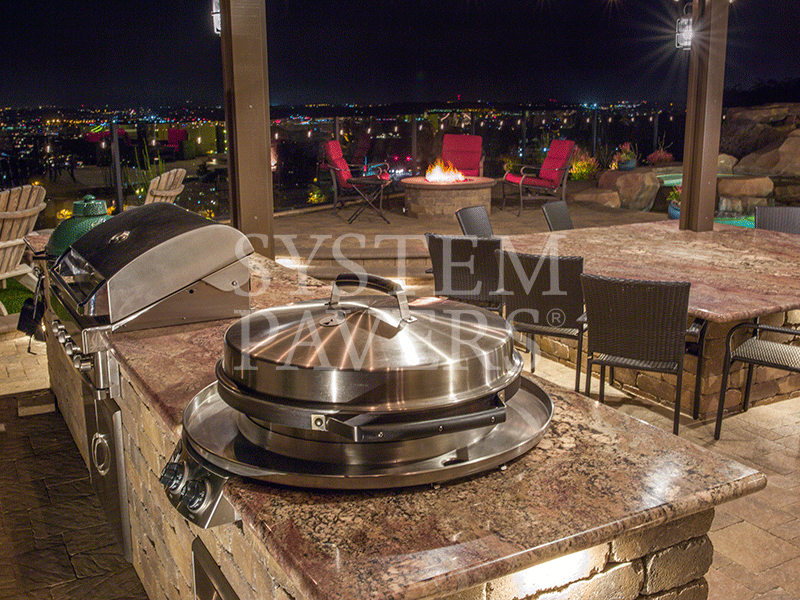 Check out some of our completed covered BBQ islands. 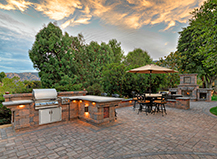 Do you need a permit for an outdoor BBQ? 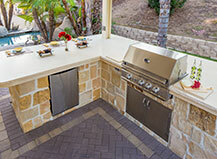 You will likely need a permit to build an outdoor BBQ island, especially if new gas lines or plumbing modifications will be needed. 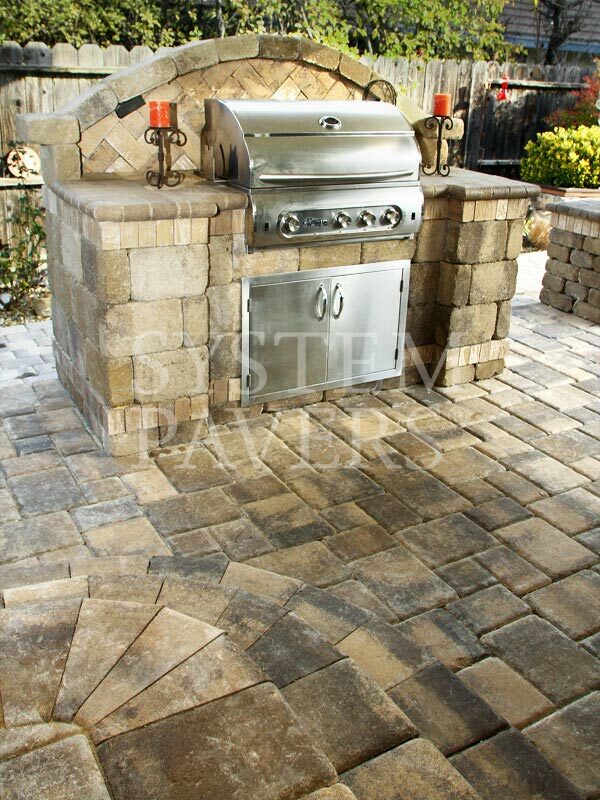 Permit guidelines vary from one area to the next, so it’s best to check local regulations for the most accurate information. 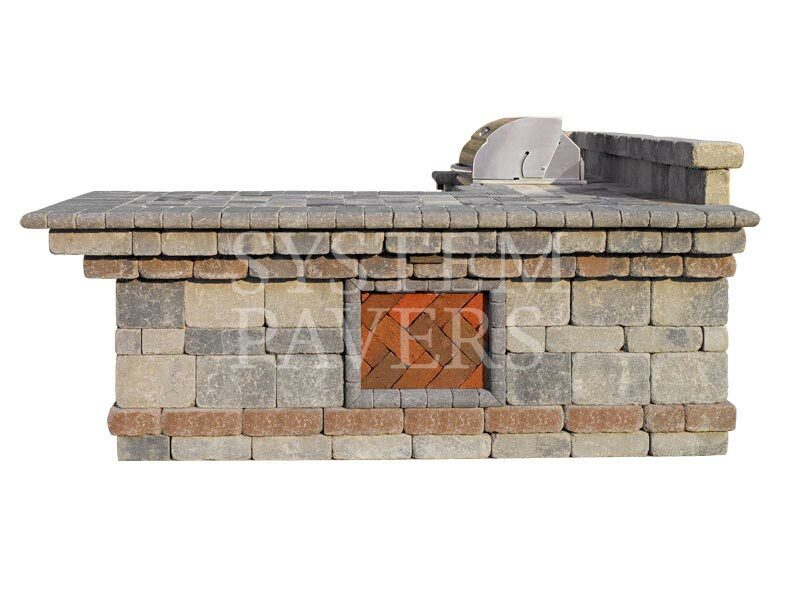 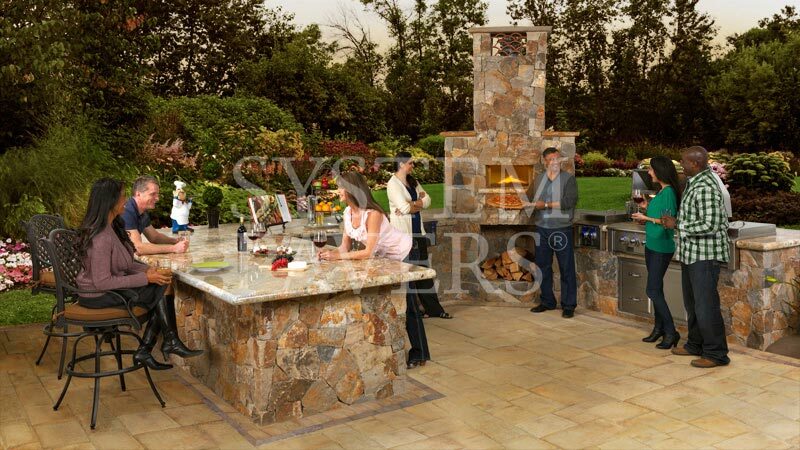 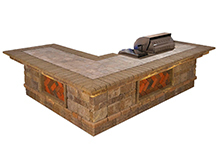 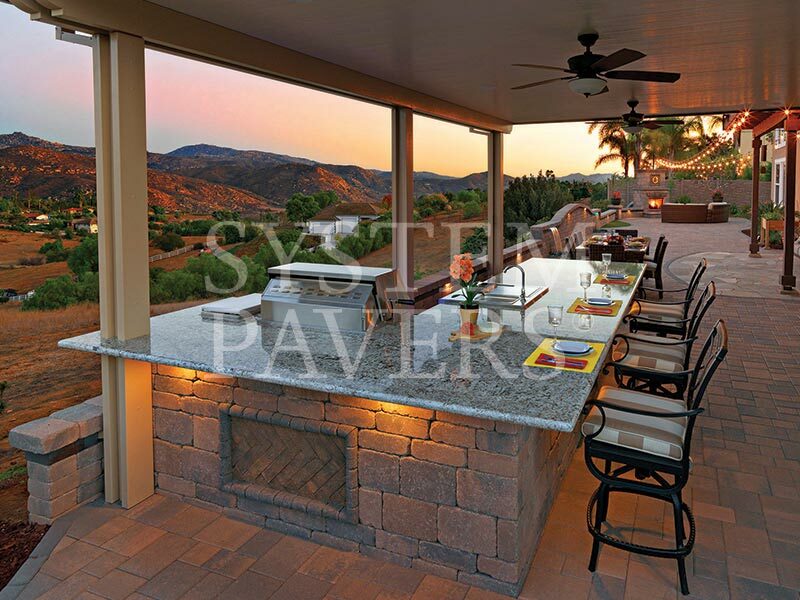 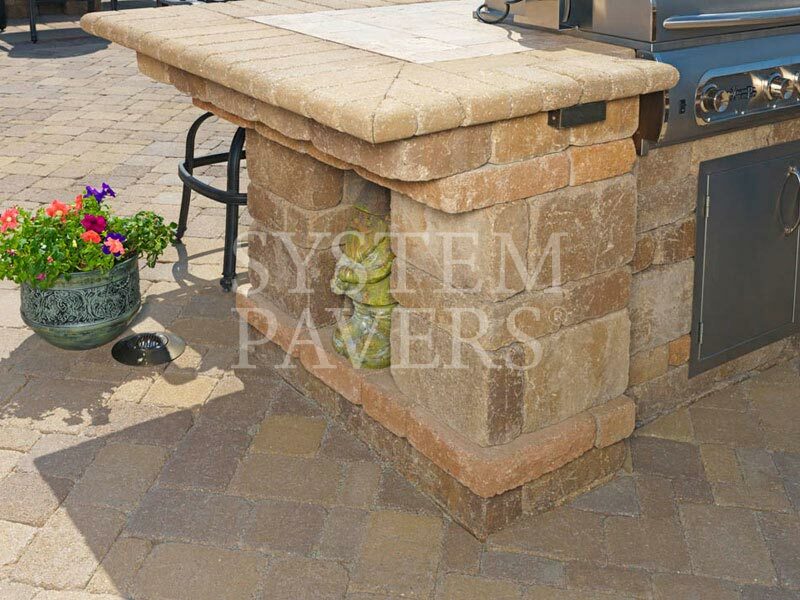 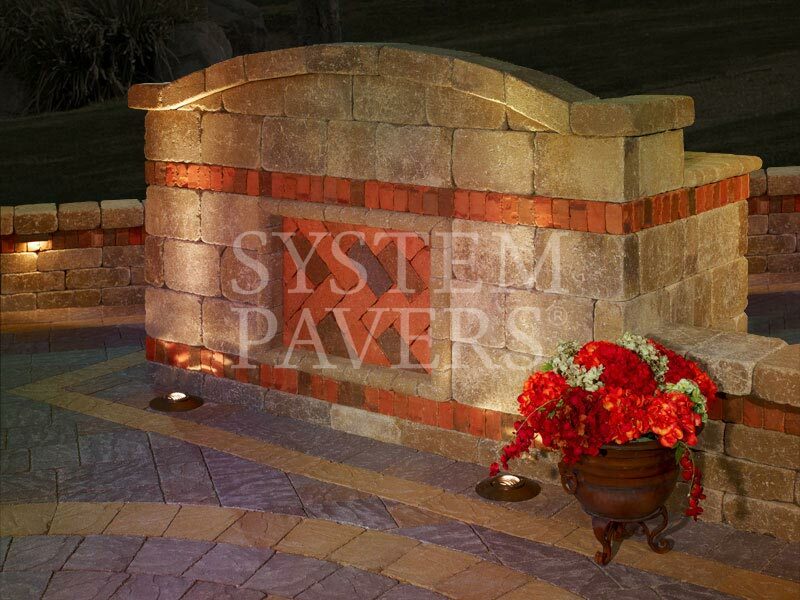 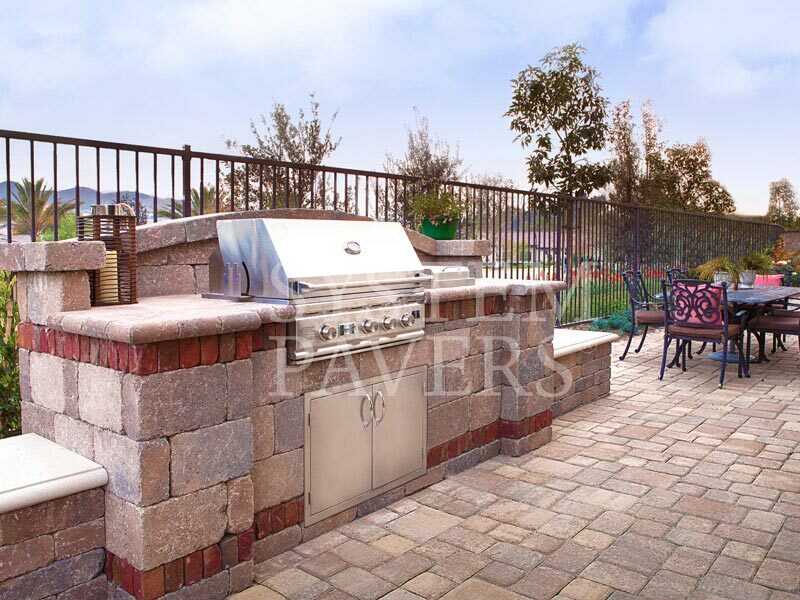 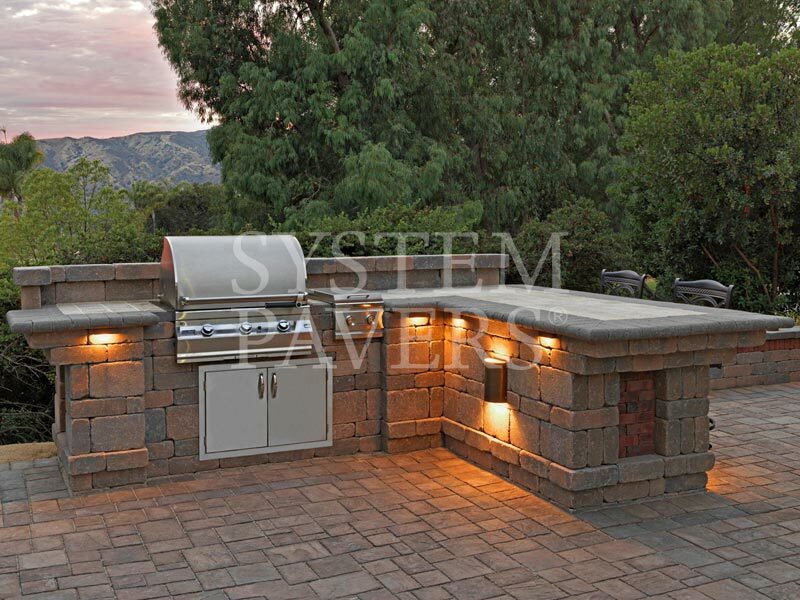 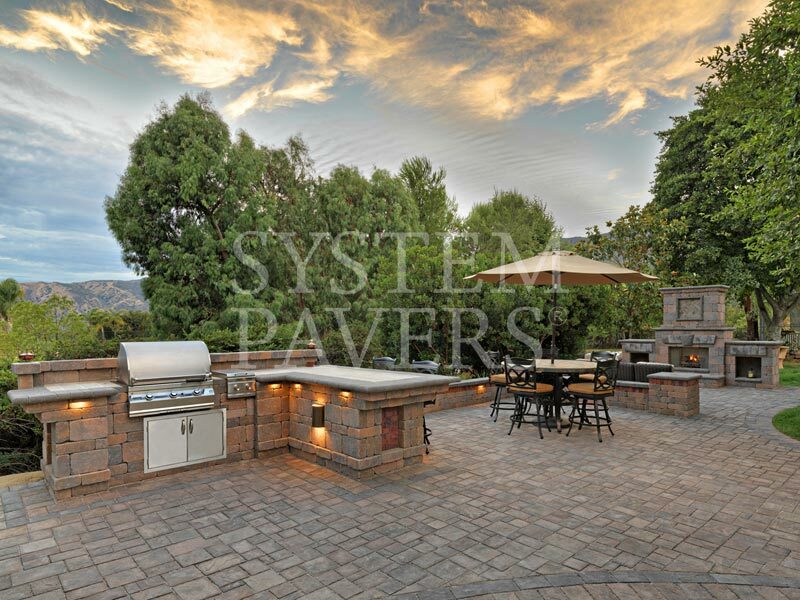 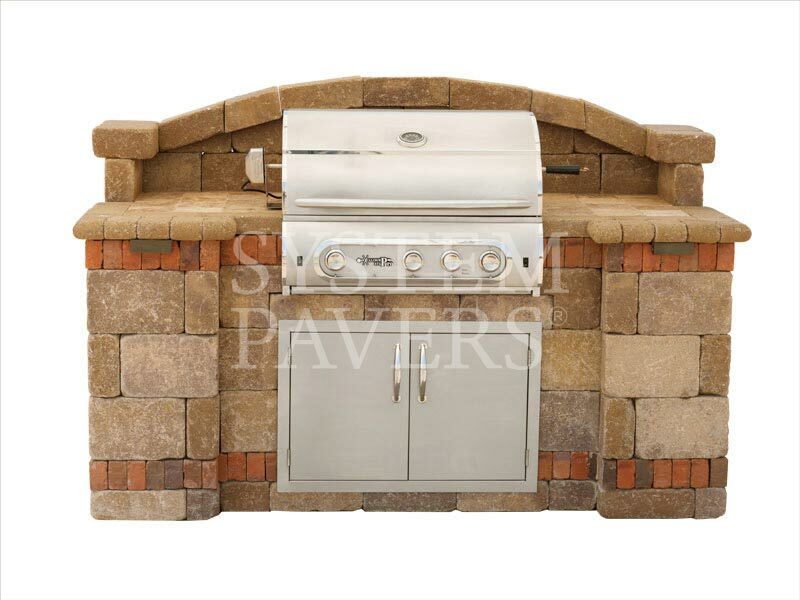 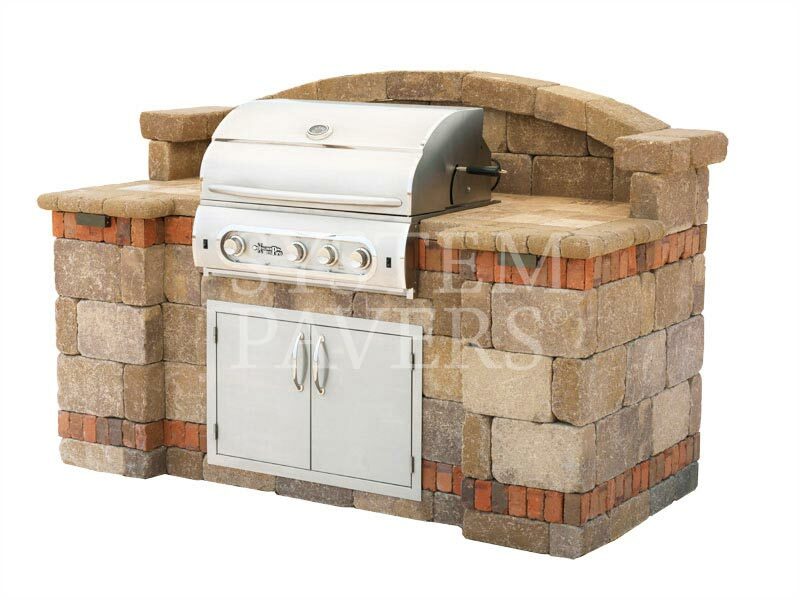 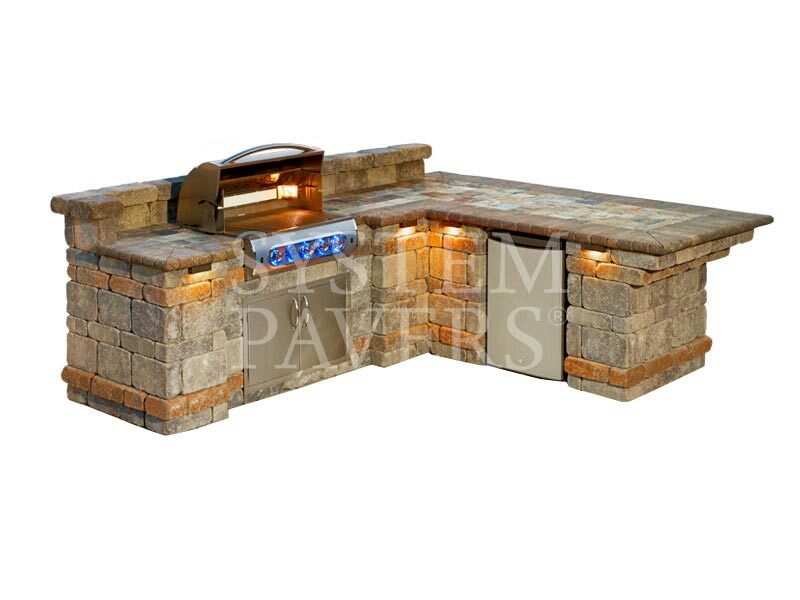 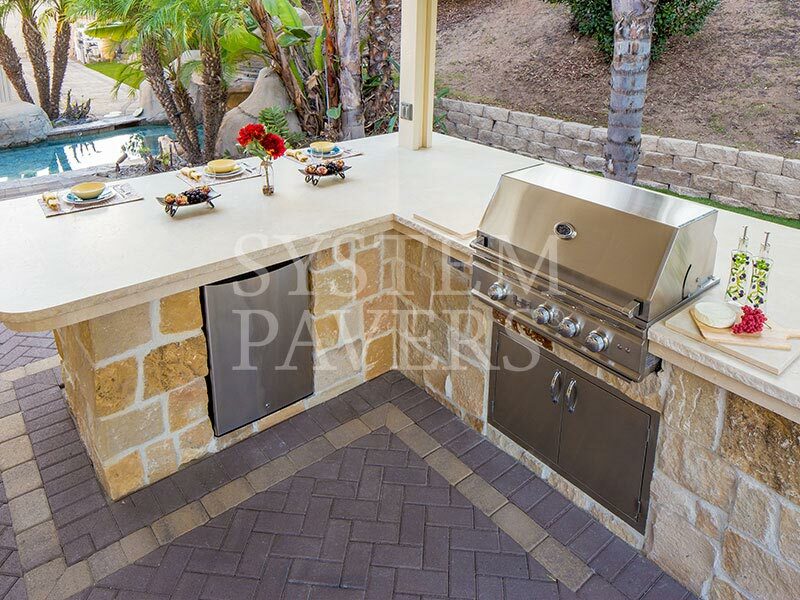 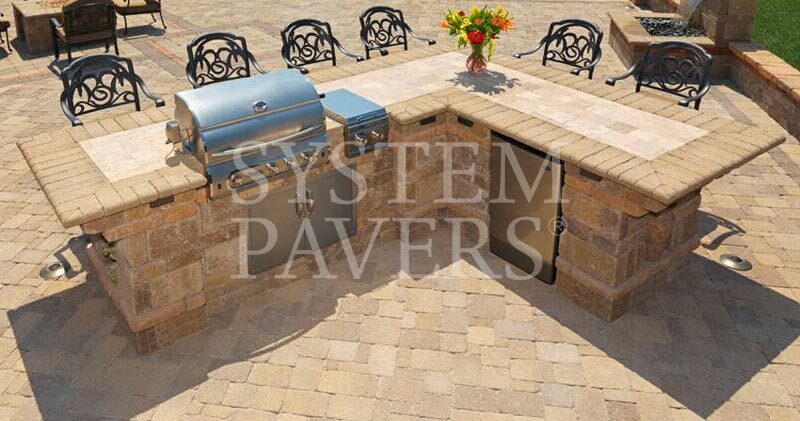 What types of BBQ grills does System Paver offer? 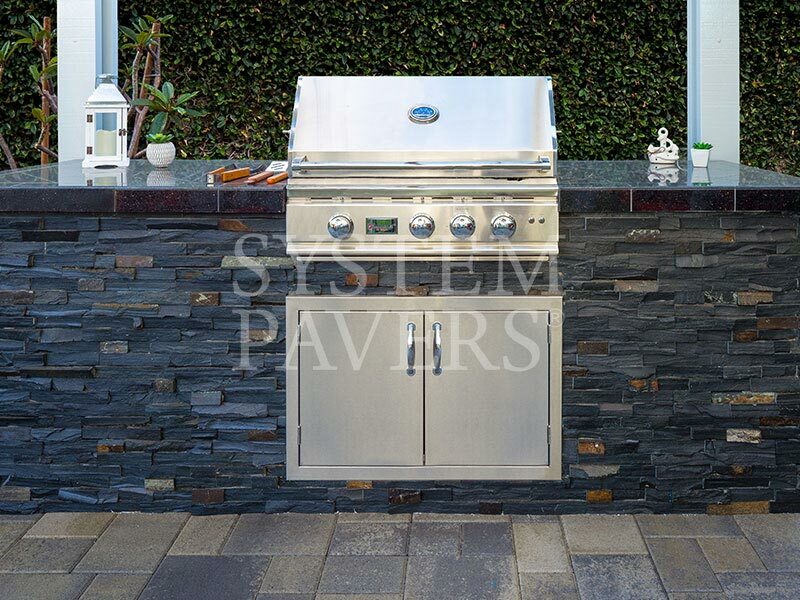 We have access to every grill on the market, from summersets to Evo and hibachi grills. 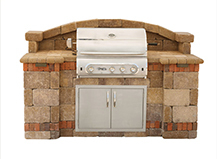 We’ll work with you to choose the grill that’s best for your grilling needs. 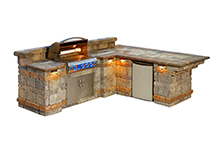 And if you have a grill you’d like to purchase on your own, we can use that in your new BBQ island design, too. 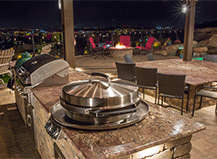 Here are the five best reasons why you should own a BBQ island. 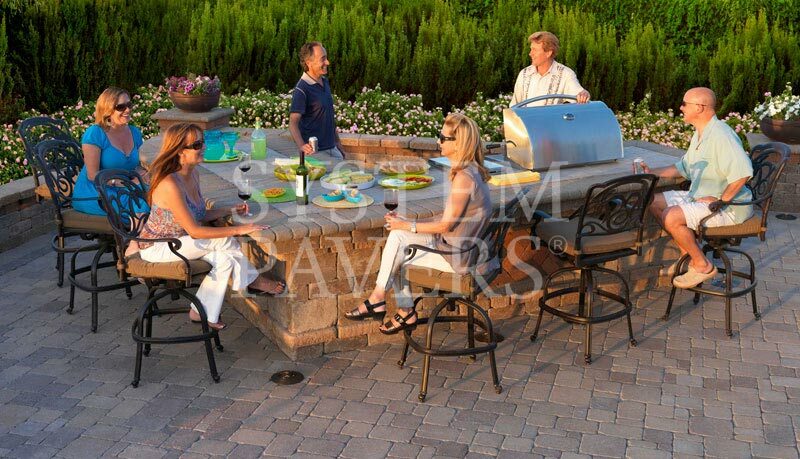 What better way to celebrate National Wine Day than with some classic wines that pair perfectly with a freshly grilled meal straight off your custom BBQ. 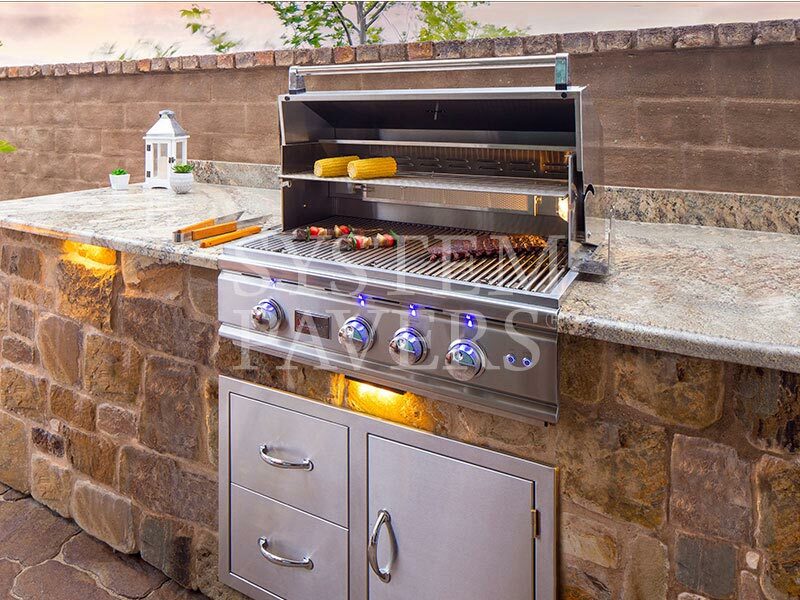 Maintaining your grill is essential for any successful barbecue, so don't get caught with a dirty barbecue at our next outdoor party.